Marrick Safari is located in the Northern Cape Province of South Africa, approximately 12km out of Kimberley. Nestled in 3000 hectares of unspoilt savannah thorn veld, this family-run business offers a vast expanse of space and silence providing endless opportunities for returning to nature. The property itself sustains a range of ecosystems, from African savannah land to rocky hillscapes to thicker thorny bushveld and there is also an ephemeral wet landscape. 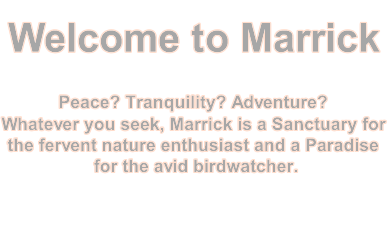 At Marrick Safari, there is "something for everybody", with a variety of activities specifically designed to enable guests to get as close as possible to this large, unique ecosystem that is almost free from human interference. Sunsets at Marrick are extraordinary and there is nothing more relaxing after a hot day in the bush than sipping an ice cold drink next to the Pan. Enjoy dinnertime around an open fire while chatting to friends and other guests before retiring to your luxurious cottage for a good night's rest.